The news team shares a behind-the-scenes perspective on a story that captured the attention of top officials at the White House, and spurred security changes across dozens of schools. In the San Francisco Bay Area, children are landing criminal records before they even hit puberty. A nearly two-year long NBC Bay Area investigation exposes serious concerns over the use of school police officers. An NBC Bay Area investigative series into the misuse of school officers is being honored with the prestigious Alfred I. duPont Columbia University Award, honoring the best in broadcast and digital reporting. The series of reports uncovered a disturbing trend within the education system, captured the attention of top officials at the White House, and spurred security changes for roughly 67,000 students across 34 schools in the San Francisco Bay Area. Reporter Bigad Shaban and producer Michael Bott obtained discipline records from the U.S. Department of Education and the more than 160 school districts across the Bay Area's nine counties to determine how often schools rely on police and for what reasons. The investigative team spent months collecting, inputting, and analyzing the data. Their reporting revealed how minorities and students with disabilities were being disproportionately arrested while at school, leaving some with criminal records before they even hit puberty for what some described as simply "childish misbehavior." 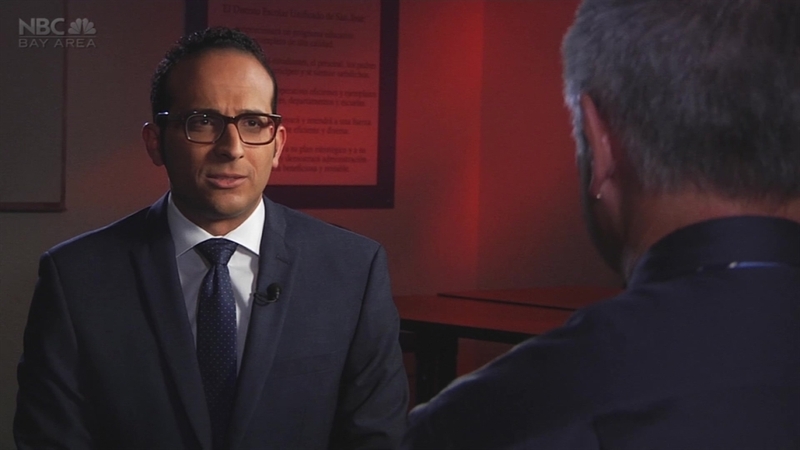 "Our Investigative Unit devoted hundreds of hours in the past two years uncovering a disturbing trend occurring in our schools," said Stephanie Adrouny, Vice President of News for NBC Bay Area, who oversaw the series of reports as executive producer. "Thanks to the dogged dedication of our investigative team, our series led to major policy changes here at home and in schools nationwide." Photojournalists Mark Villarreal and Michael Horn shot and edited the series. Producer Rachel Witte and photographers Jeremy Carroll and Felipe Escamilla also contributed. Nelson Hsu and Scott Pham created interactive design elements for the series website. "We are honored to be recognized with this very important award and proud that our investigative unit helped to inspire security changes across schools in our own backyard and all across the country," added Stacy Owen, President and General Manager for NBC Bay Area. "The sweeping changes that resulted from our investigation reinforces our station's mission of shining a light on questionable practices and holding the powerful accountable to make the Bay Area a better place to live for all." The duPont-Columbia University Awards honor the best in broadcast, documentary, and online reporting. The awards recognize about a dozen stories each year from a pool of hundreds of entries. News outlets are selected based on the strength of their reporting and ability to produce stories that create an impact in the public interest. In honoring the NBC Bay Area's reporting, judges cited "an impactful two year-long investigative series [that] chronicled the misuse of school police officers to discipline students, which can leave children with criminal records for what is arguably 'childish misbehavior.'" This year's honorees include 60 Minutes, This American Life, HBO Real Sports with Bryant Gumbel, PBS, and the Center for Investigative Reporting, among others. Five local television stations, including NBC Bay Area, also took home an award. Award recipients will be recognized at the 2018 Alfred I. duPont Awards ceremony at Columbia University’s Low Memorial Library in New York City on Tuesday, January 16, 2018. For more information about the 2018 duPont Awards winners, click here and follow on social media using the hashtag #duPont2018. Read the duPont press release here. Click here to see the full list of duPont Award winners.